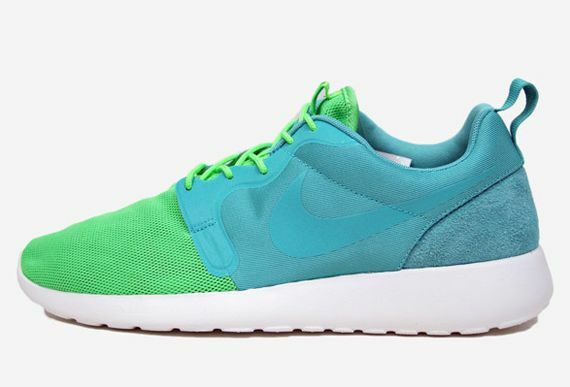 The Roshe Run line has seen numerous variations, but this “Hyperfuse” version seems to really step out of character for the Roshe, and we personally don’t mind. Featuring the mesh you’d come to expect on the toe-box, things get shaken up towards the middle where the material is switched up and the Hyperfuse comes into play, adding a unique pop to arguably one of the most iconic silhouettes in recent years. A dash of suede on the heel keeps things classy, and the two-tone colorways look great. No news as to when these might drop but you can stay updated via our Facebook, Twitter and Instagram. More photos after the jump.